Kiss & Makeup : My faves for July! I've been waiting to do this since I started my blog and I'm so glad I can post about this now! I've seen so many different bloggers do these types of posts and I love seeing what everyone else has brought and loved! I've got quite a few products and items that I've loved this month but I've narrowed it down to 5! I love this bag! I've had it a few months now and almost every time in out with my girlfriends for drinks I take this bag! 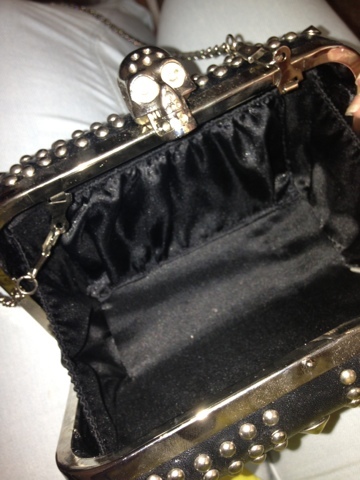 It looks quite small but I can actually fit quite a few things in there: my iPhone, keys, money and even lipgloss! There's a small pocket in there that is perfect for you money and there's even a long chain that connects so you can use it as a shoulder bag. 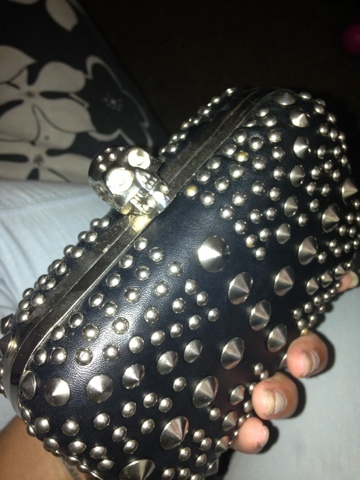 The design is a navy blue, sliver studded clutch with a skull on the opening inspired by Alexander McQueens trade make skull! I love this product! 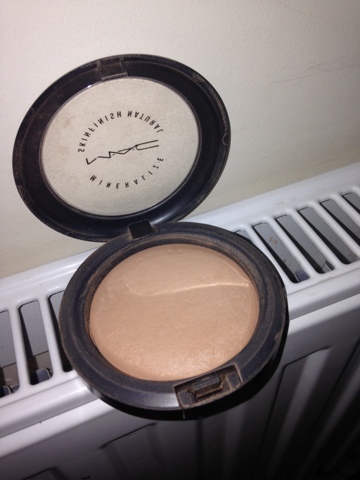 More me I used to think that every powder was the same but this product is so good! I tend to have an oily t-zone but this calms it right down and gives my face and makeup a really glowing and nice finish! 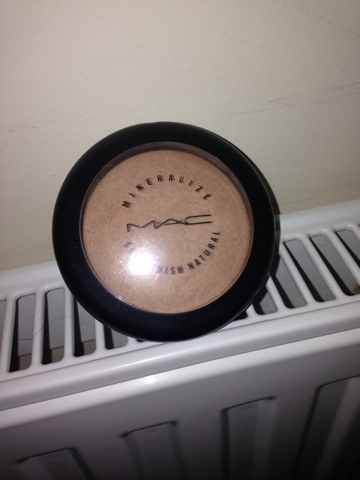 They come in lots of different shades and the MAC artists are super helpful and lovely! 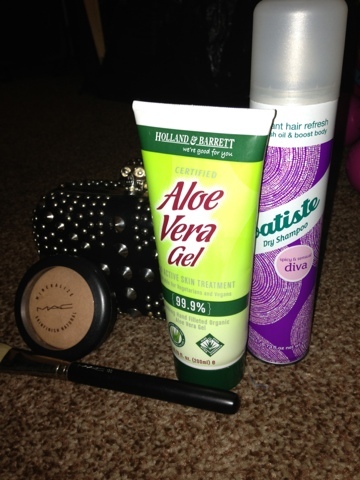 I'm always looking for different products to help with my skin and this does it! I suffer from stretch marks (I know I'm not the only one) so I thought I'd put this into my top 5. I used this every day after my shower in the morning and then before I go to bed, I've been using this for a few months now and they are certainly fading! It doesn't leave a smell and its a clear gel that settles into your skin so beautifully and leaves your skin feel so soft and moisturised! 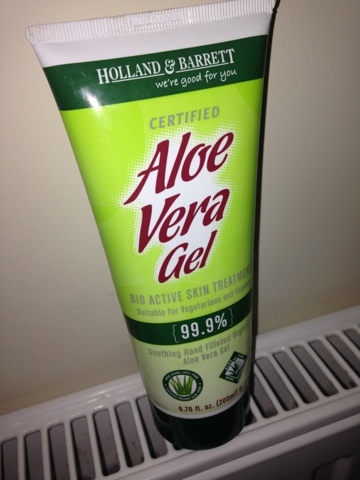 Definitely a must buy if you suffer from dry skin or scarring! I've always been a bit sceptical of dry shampoos becuase I've brought a few in the past and they haven't really done anything to my hair but I brought this really cheap and I love it, this is actually my second bottle! If I don't feel like washing my hair or I'm in a rush I just spray this on my hair and it looks great! 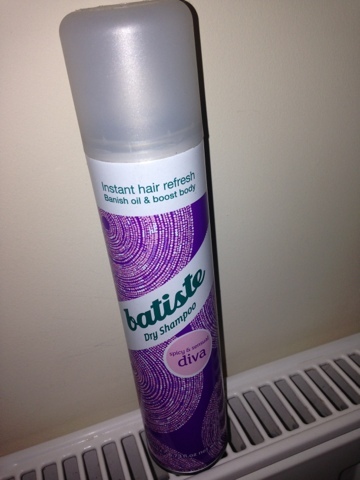 It doesn't leave my hair dry or greasy! It's great and it comes in loads of different types and flavours! 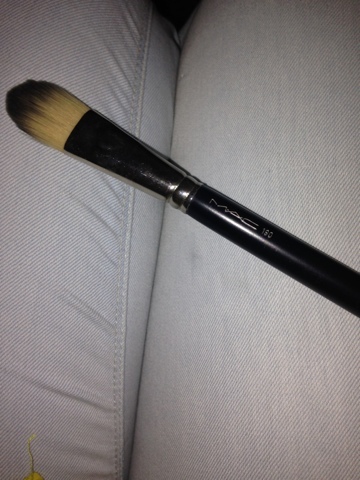 I'm always hearing mixed reviews about MAC's brushes, some people saying they shread and other people saying their great! I was torn. So I decided to buy myself one that I knew I was going to use so it wasn't a waste of money! 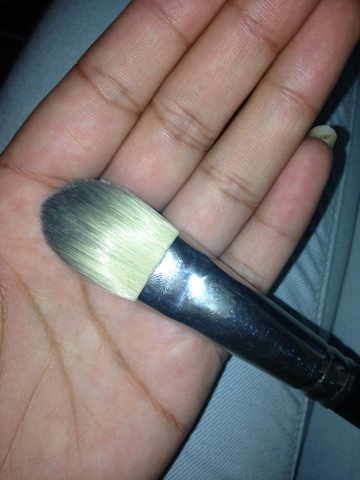 A foundation brush. I knew that it would come in handy as I'm always applying foundation whether its on myself or clients so it wasn't a total waste of money but I don't think I'd pay another £20 or so for another one. I love the way the bristles feel and they're shapes to be used not only on the face but under the eyes and around the nose which is perfect! It blends into the skin so well and it's so easy to clean i actually enjoy cleaning it! If you wanted a decent foundation brush then this is the one to get, if I'm grabbing a foundation brush I always go to this one!